We start with the conviction that all things are possible for homeless children. We provide a holistic approach to solving challenges and address all aspects of life: educational, psychosocial, functional, spiritual, developmental, financial; because we want to provide care to children experiencing homelessness that we would want to give our own children. Our primary mandate is to serve homeless children. In everything we do, our goal is to honor the dignity and potential of each child. We strive every day to deliver that level of care. It grew to become a county-run school designed to help children without permanent homes transition into the mainstream educational system. The First Presbyterian Church of Orange served as a key partner of the program for 20+ years, providing the facilities and many other invaluable operational services to the school. PHA remained committed to providing homeless children and youth from kindergarten through age 24 with the tools and opportunities that they need to learn their way to a better tomorrow. In this work, we have spent the last 28 years developing a unique model of care including effective education and family stability program models that serve the needs of children experiencing homelessness in Orange County. A 12-year-old girl sitting on a motel bed, surrounded by homework, siblings, and parents, all crammed into one small room. A 9-year-old boy entering a classroom with his head down, ashamed about not knowing where he will sleep tonight. These are the images of children in Orange County struggling with homelessness — the county’s best-kept secret. While we may not see these motel kids along the streets or desperately gripping cardboard signs, they exist in overwhelming abundance. Under the area’s veil of affluence are the faces of more than 28,000 children experiencing homelessness and 120,000 children living in poverty. They say goodnight from motels, shelters and couches. They are forced to focus on where they will sleep instead of what they will learn. Tragically, their educations and futures suffer. As a technology entrepreneur, my father experienced unpredictable lapses in income. Although my mother also worked as a preschool teacher, keeping a roof over our family of six proved taxing. While there were periods of financial stability, there were also times of despair. On a local level, here in Orange County, it’s 1 in 6. California has the largest population of homeless children in America, and Orange County has more homeless students than the state average and neighboring Los Angeles and San Diego counties, per the California Department of Education. Three especially notable programs are our innovative Bright Start Pilot Program, Promotor Pathway Program present on site at junior high and high school campuses and our core Family Stability Program. Take my story as an example of the boundless power of faith, hope and determination. Since graduating from UC Irvine and Whittier Law School, becoming a partner at a large law firm before age 40, then leaving the practice of law to proudly serve as Project Hope Alliance’s CEO, I have realized that my story is not about me. I just happen to be the one with a voice right now to communicate that a child’s future should never be determined by their parents’ economic circumstances. Our team comes from a variety of backgrounds who all have one thing in common: a passion for furthering PHA’s mission, to end the cycle of homelessness one child at a time. Prior to becoming CEO, Jennifer Friend enjoyed a successful career as a partner at a large law firm managing a litigation team and a substantial personal book of business, representing national and international clients throughout the civil courts of California. While practicing law, she served as President and Secretary of Project Hope Alliance Board of Directors and was actively engaged in the organization’s expansion and strategic growth. Since 2013, more than 900 children and their families have been moved out of homelessness under her leadership as CEO. 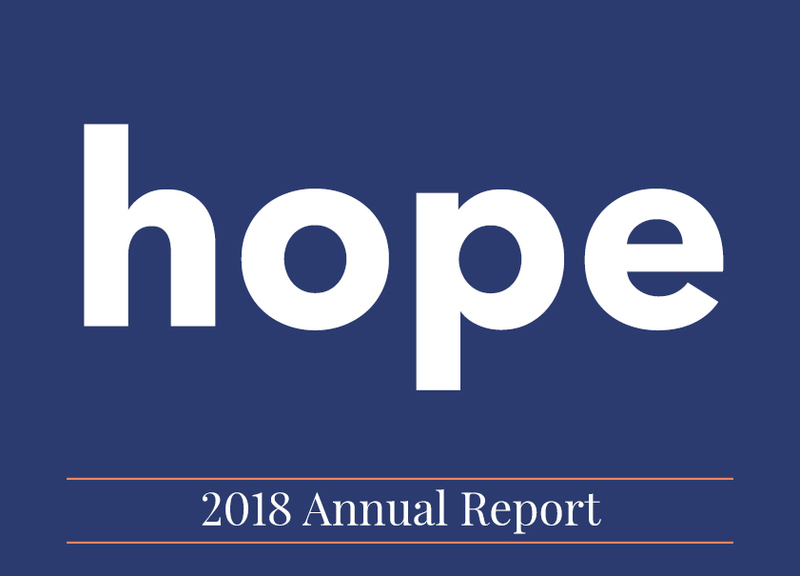 Project Hope Alliance has experienced a growth of 400% in the past four years, evolving from a team of three full-time employees to a current team of 22. Jennifer has been successful in identifying, leveraging, and acting upon opportunities and partnerships both within the for-profit and nonprofit sectors. Her personal experience as a homeless child fuels her deep-rooted passion and commitment to homeless children and youth, while her ability to cast vision, think strategically, and lead and direct broader systems change uniquely qualify her to serve as Project Hope Alliance’s CEO. She holds a JD from Whittier Law School and a BA in Criminology, Law, and Society from University of California, Irvine. Dr. Tracy Carmichael joins Project Hope Alliance as President & Chief Strategy Officer. Tracy has spent most of her career working to bridge the gap between research and practice within the educational system, and developing equity-centered programs that produce opportunities for children to reach their full potential. She has a deep comprehension of non-profit management including strategic planning, fundraising, and outcome measurement. Tracy is a valued resource and champion in the development and implementation of the organization’s strategic plans that fosters program expansion while maintaining internal efficiency. Tracy holds a B.A. in Criminology from UC Irvine, an M.A. in Educational Research from the University of Michigan, and a Ph.D. in Education from UC Irvine. Before joining Project Hope Alliance, Jennifer spent 16 years teaching in the elementary school classrooms of Newport-Mesa Unified School District and serving as a curriculum specialist, teacher trainer, English learner coordinator, Early Intervention for School Success (EISS) coordinator, literacy coach, and grade-level chair. Throughout her impassioned career, she has built a stellar reputation as an educator, leader, and advocate for the kids. In recognition of her extraordinary dedication to childhood education, Jennifer was named 2015-2016 Teacher of the Year at Pomona Elementary. As Director of Education at Project Hope Alliance, Jennifer brings to the organization her passion for and expertise in leveraging education as a tool to ending generational poverty. She received her Bachelor of Arts in Liberal Studies with a concentration in Spanish from California State University, Northridge, and her Master of Arts in Education/Bilingual Credential and Preliminary Administrative Services Credential from Loyola Marymount University, Los Angeles. Tiffany has her Doctor of Psychology in Applied Clinical Psychology, Master of Science in Counseling, and more than 10 years of experience working in the nonprofit community serving individuals and families struggling with homelessness, domestic violence, addiction, and mental/behavioral health needs. Her desire to make a difference in her community started at a young age and was evident through her participation in numerous volunteer opportunities mentoring children and serving the homeless. This exposure fueled her educational and professional goals. Tiffany’s background coupled with her ability to nurture strong relationships with county and government entities has allowed her to develop and manage multiphase programs that meet the needs of the communities she serves. She has a record of success in managing strong teams and providing service excellence through her commitment, dedication, and adaptability to the growing and changing needs of the community. Shelly Sennikoff joins Project Hope Alliance as Director of Finance and Administration. Shelly is passionate about making a difference in the community, particularly when it comes to providing opportunities for disadvantaged youth. She is an experienced finance professional with 10 years as a budget and financial reporting specialist in the non-profit sector. She has a deep comprehension of non-profit budget and financial controls and has developed systems for scalable growth in these areas. Shelly holds a B.A. in Business Administration and an M.S. in Decision Science, both from California State University, Fullerton. Since 2015, Dee has served Project Hope Alliance (PHA) as an Executive Assistant and now Executive Administrator and Assistant to CEO, providing high-level support to PHA’s CEO, Board of Directors, and executive team to help strengthen and grow the organization’s mission. Dee brings to PHA her passion for making a difference and her administrative and organizational skills gained through working as a paralegal, contract administrator, and professional organizer, along with her nonprofit experience from her employment at the Volunteer Center Orange County (now OneOC) and NAMI Orange County. She holds a BA in English from California State University, Fullerton; a Certificate in Legal Assistantship with honors from University of California, Irvine; and a Certificate in Administration on Nonprofit Programs from California State University, Long Beach, through the Volunteer Center Orange County. Annie has always wanted to be an advocate for the underrepresented, particularly children. After graduating with her bachelor’s degree in the History of Public Policy from University of California, Santa Barbara, she spent two years as a Policy Research Associate in the Peace Corps, which motivated her to enhance her knowledge of humanitarian and human rights law through a law degree. While earning her juris doctorate from the University of Notre Dame Law School, Annie spent a summer as an intern with the United National Tribunal for the Rwandan Genocide in Arusha, Tanzania. Following graduation, she was a legal fellow with Human Rights Watch, where she researched and contributed to reports regarding juvenile justice and discovered a passion for children’s rights. This interest led Annie to a position as an associate attorney at A Center for Children and Family Law in Orange, CA, where she specialized in “kid law,” including minor’s counsel, guardianships, and adoptions. Through a friend, Annie was introduced to Project Hope Alliance in 2014 and felt an instant connection to the mission, vision, and staff, and is grateful to have found a true vocation in her role as Director of Operations. Annie lives in Seal Beach with her husband Chris and two daughters, Lizzie and Maggie and her son, Liam. Since 2013, Chrissie has served as a Case Manager for Project Hope Alliance’s (PHA) core Family Stability Program, providing unsurpassed supportive counseling and advocacy for families. In her role, she conducts comprehensive assessments with unstably housed families, develops family case plans, provides crisis intervention, links families to resources, supervises interns, and more. 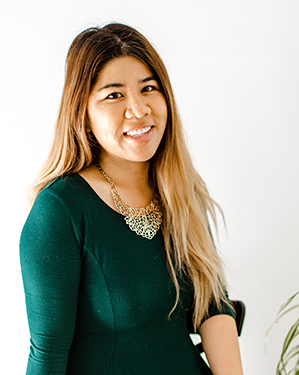 Prior to joining PHA, Chrissie served as a Personal Services Coordinator for Vietnamese Community of Orange County, and an Educational Case Manager Intern for Orange County Department of Education, Foster Youth Services. She holds a Master of Social Work with a Pupil Personnel Services Credential from University of Southern California, and a BA in Human Development with a minor in Human Resource from California State University, Long Beach. Since 2015, Connie has served Project Hope Alliance (PHA) as a Programs Intern; Programs Assistant; Volunteer & Program Team Coordinator; Coordinator, Program Team, Volunteer & Data/Accountability; and now Data Analyst. In her role, she drives analytics of all data collected from clients, donors, and volunteers; architects solution design of PHA’s Salesforce database to meet organizational needs; translates numbers to meaning for internal and external reports in order to advance program growth and organizational development; and more. Prior to joining PHA, Connie served as Vice President of Service and Service Project Coordinator for Alpha Phi Omega, National Service Organization, and a Violence Intervention & Prevention Peer Educator for University of California, Irvine (UCI), Campus Assault Resource & Education Center. She holds a BA in Psychology and Social Behavior and a BA in English from UCI. Fatiha joined Project Hope Alliance (PHA) in January 2017 as an Operations Assistant and has since advanced to Program Coordinator. In her role, she serves as the first point of contact for many families enrolling in PHA’s programs, providing a phenomenal level of support and service to every individual who walks through the organization’s doors. Fatiha also supports the day-to-day functions of all programs, including front office support, resource database development, food pantry maintenance, program screenings, procurement of extracurricular activities for children and youth, and facilitation of financial assistance requests and referrals for families. Prior to joining PHA, she served as a Community Leader Liaison for City of Irvine. Fatiha holds a BA in Business Administration from California State University, Fullerton. John Eumurian has joined Project Hope Alliance (PHA) as Foundation Relations Manager. 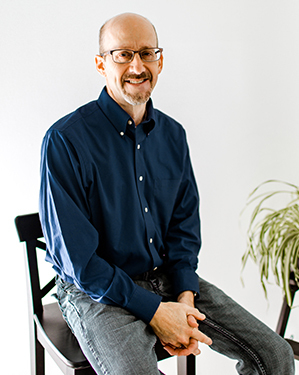 John is an experienced grant writer with 19 years as both a proposal writer for the for-profit sector and grant writer for the non-profit sector, understanding the financial workings of both the corporate and nonprofit arenas. He brings local connections and research expertise to the position along with highly skilled grant writing, research, and report writing experience. He has provided services in Orange County, Los Angeles, CA as well as international clients in Croatia, Tanzania and Mozambique. 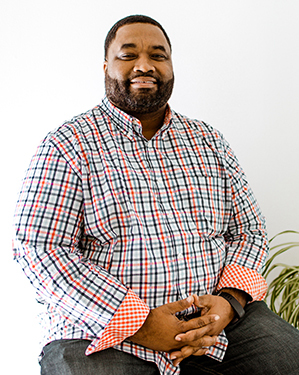 Today, he oversees all aspects of foundational fund development and is tasked with increasing PHA’s family of foundation funders, and building a robust foundational system to support program and overall organizational growth. Since 2016, Jordan has served Project Hope Alliance (PHA) as a Programming Intern, Family Stability Coordinator, and now Case Manager for PHA’s core Family Stability Program (FSP), providing unparalleled supportive counseling and advocacy for families. In his role, he helps our FSP Phase II families, who have completed Phase I by achieving and maintaining housing and financial stability for one year, by focusing on the children for the second year. In collaboration with families, Jordan helps provide food assistance and occasional rent and utility assistance; connects children with camps, tutoring, and other enrichment opportunities; conducts regular check-ins; collaborates with community members to secure future partnerships; and more. Prior to joining PHA, Jordan served as a Fellow for Youth and Opportunity United. He holds a bachelor’s degree in Justice Studies from Northeastern Illinois University. An exceptional leader and communicator, La Shawn has been developing Project Hope Alliance’s (PHA) core family stability services since 2013. In his role, he provides direct service and support to the families served by PHA, acts as a liaison between PHA and other community agencies and organizations, oversees the work of staff and volunteers, establishes administrative procedures to meet objectives set by the Board of Directors and senior staff, tracks program data for budgeting and grant writing purposes, and more. Prior to joining PHA, La Shawn served as a Career Consultant for ResCare Workforce Services, and a Social Worker II for Stark County DJFS. He holds a BA in Psychology from Central State University. Leslie joined Project Hope Alliance (PHA) in July 2017 as a bilingual Case Manager for the organization’s Promotor Pathway Program (PP), offering outstanding supportive counseling and advocacy for eighth graders at Ensign Intermediate School—the newest expansion of PP. In her role, she provides comprehensive case management services for students by establishing and following up on goals; serves as a mentor for the student; and supports students academically to ensure growth and success. Prior to joining PHA, Leslie served as a Bilingual Case Manager, Elementary Site Coordinator, Elementary Lead Instructor, and Elementary Instructor for Boys & Girls Clubs of Garden Grove. She holds a bachelor’s degree in Humans Services from California State University, Fullerton. An extraordinary bilingual leader and communicator, Rocio has more than 10 years of experience working with children, youth, and families. She has been shaping Project Hope Alliance’s (PHA) Family Stability (FSP) and Promotor Pathway (PP) programs since 2015. In her role, she develops and oversees all aspects of FSP and PP, expertly leads PHA’s team of case managers, provides staff with strategies and tools to work with families in difficult situations, serves as a liaison between PHA and community providers, and more. Prior to joining PHA, Rocio served as a Differential Response Family Advocate for Children’s Bureau, and a Health Care Access Coordinator for St. Joseph Hospital of Orange. She holds a BA in Child Development from Universidad del Sagrado Corazon and is currently pursuing her master’s degree in Human Behavior from National University. Since 2016, Sandra has served as a bilingual Case Manager for Project Hope Alliance’s (PHA) Promotor Pathway Program, providing unrivaled supportive counseling and advocacy for youth ages 14-24. In her role, she supports students by identifying McKinney-Vento students; developing individualized case plans; providing long-term case management; maintaining regular contact with students; monitoring student progress; collaborating with teachers, school staff, parents and caregivers, and community resources on behalf of students to ensure needs are addressed; and more. Prior to joining PHA, Sandra served as an Office Assistant for the Graduate School of Education at University of California, Riverside (UC Riverside), and a Volunteer for Aids Project Los Angeles. She holds a Master of Public Health from Charles R. Drew University of Medicine and Science, and a BA in Sociology from UC Riverside. Tanya joined Project Hope Alliance (PHA) in July 2017 as a Case Manager for the organization’s Promotor Pathway Program, providing unprecedented supportive counseling and advocacy for youth ages 14-24. In her role, she supports students by developing strong, healthy relationships with youth and family members; creating comprehensive case management plans; conducting face-to-face assessments; assisting youth in crisis situations; providing instruction and skills development; meeting weekly with youth and monitoring progress; maintaining relationships with school staff, administration, and teachers; planning monthly community activities; providing resources and referrals; and more. 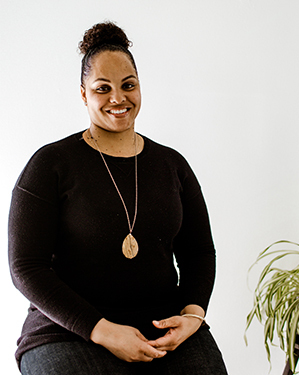 Prior to joining PHA, Tanya served as a Counseling Intern for Youth ALIVE!, and a Graduate Extern for the Counseling Services Center at John Jay College of Criminal Justice (John Jay). She holds an MA in Forensic Mental Health Counseling from John Jay, and a BS in Psychology from University of Central Florida. more children than ever before. As a 501(c)3 non-profit, we’re independently audited each year. You can download our financial documents below.